With their large quantities of valuable personal data, hotels make an exceedingly attractive target. They also have many access points for malware to enter the system, from WiFi to on-premise restaurants and services, to attacks via online travel agencies and other vulnerable third party suppliers. Over the past few years, nearly every major hotel group reported a breach including Hyatt, Hilton, Starwood, Hard Rock, Four Seasons, Trump, Kimpton, Mandarin Group, the Intercontinental Hotel Group, not to mention a slew of smaller hits. The Dan Hotel Group, best known for the famous King David hotel in Jerusalem, was determined not to become another casualty. Like most brands, the Dan Group utilizes a VDI system across its properties to bring consistency, control and efficiency. Unlike many brands, the organization understood that their VDI, even when paired with network-level security and antivirus, still faced significant risk from fileless and other advanced attacks. 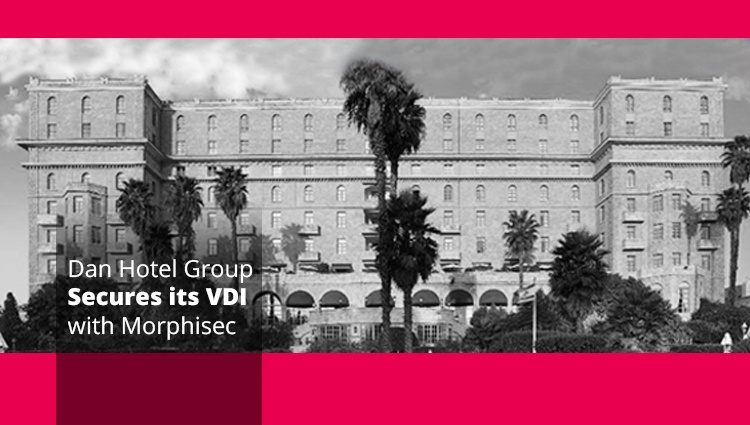 Needing a solution that was extremely lightweight and that wouldn’t impact VDI load times, Dan Hotels' Vice President of IT, Yossi Gabay, turned to Morphisec. Since installing Morphisec, the hotel group has had no breaches or operational disruptions from security incidents. Dan Hotels’ entire VDI is now protected from zero-days and advanced attacks like evasive exploits, browser-based attacks, fileless threats and backdoor, supply-chain attacks. Gabay, and his team appreciate that Morphisec has zero associated maintenance, no false alerts and minimal to no interaction with the end user. Most importantly, the hotel group can be secure in its commitment to be operational 24/7 for its customers and protect their sensitive information. Want to protect your on-premises, hybrid, or virtual endpoint from advanced threats? Contact one of Morphisec’s experts to learn how.